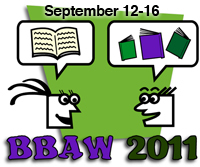 This entry was posted in About Book Blogging and tagged BBAW, Blog, favorite blogs, Minnesota. Bookmark the permalink. The Book Snob and The Bookworm With A View are new to me. I’ll be checking them out.